Teaching English just got a little easier with these ebooks from ESL Publications. These low-prep, high-interest logic puzzles, word games and trivia challenges help ESL students learn vocabulary and general knowledge while improving listening, speaking and critical thinking skills at the same time. Trivia game with 240 questions written for non native speakers, great for high beginner level students and up. 240 more questions at a slightly higher level; great for ESL students intermediate and up. Teach your ESL students problem solving and language at the same time. 30 worksheets with hours of skills development. 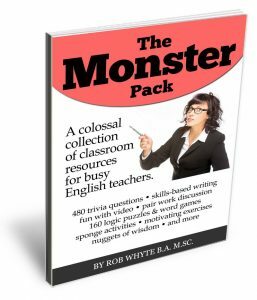 This package has three ebooks – Logic Puzzles and Word Games plus both trivia ebooks – so you get 30 worksheets of puzzles and word games plus 480 trivia questions. Great value for teachers looking for a variety of materials. 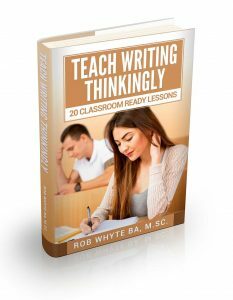 A terrific ebook for teachers looking to quickly upgrade their classroom activities: 36 activities cover four general areas: skills-based writing, sponge activities, vocabulary and pair work discussions and motivators. This enormous ebook – about 240 pages – has four of my ebooks in one file. You get 480 trivia questions, 160 logic puzzles and word games plus the ESL Teacher’s Classroom Toolbox. 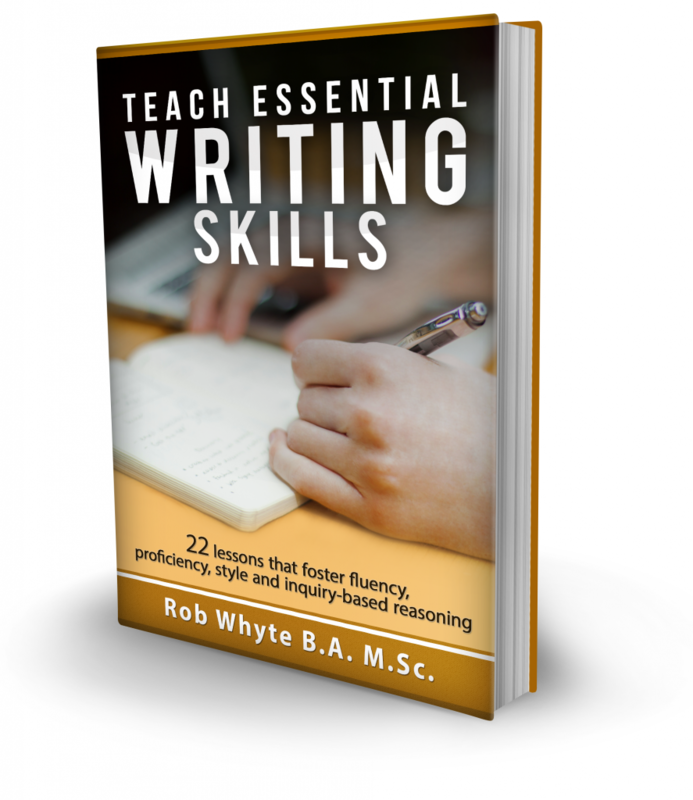 This 94-page teacher’s resource helps EFL students learn English writing by tackling the most important skills – fluency, proficiency, elements of style and a kind of logic called inquiry based reasoning. hi! i’m new and i want to perform my english so does anyone can tell me where i can find best novel for intermediate and advanced level, please? The best novels are the ones which match your reading level. Can you find any graded readers in your school or area? That would be a good way to improve your English. Hi! Today I got an email from you in which you lead us to a series of activities and worksheets (Try these 7 sponge activities). While being curious, I clicked on the vocab one and found myself in front of an A to Z vocab worksheet – one of my favorites. Thing is, this one in particular, doesn’t appear in the Monster Pack. I am now wondering if you have additional exercises, as is the case with this one, that we could add to the Monster Pack, or if you update it, so we could re-download it (those of us who have the MP)? I’d really like to be able to get more worksheets of any of the books included in the MP. Hi from Turkey! 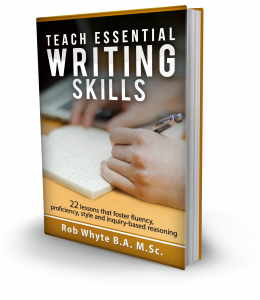 My students really enjoy the exercises from your ebook Teach Essential Writing Skills. I’m looking forward to using more resources from your website. They have proven to be very helpful in my foreign language classrooms, even when I have to make a few adjustments to teach Dutch. Thank you! Thanks for the kind words. I am glad the ebook is working out for you and your students.